Improving beauty and function at every visit! 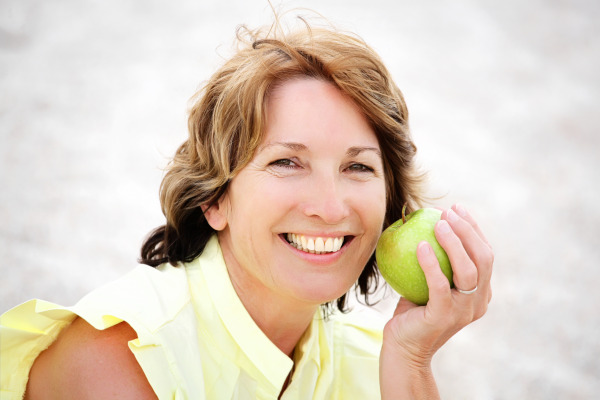 The benefits of aesthetic dentistry are often underestimated. Many individuals disregard cosmetic procedures as excessive, but what they fail to realize is that aesthetic dentistry can actually preserve your teeth and improve your overall oral health. Dr. Russell Young of SF Star Dental in San Francisco is an advocate of preventive dentistry, believing that conservation is always preferred when creating a treatment plan. His practice specializes in providing aesthetic results while eliminating dental complications. Patients leave with a smile that is not only beautiful, but healthy and resilient. Aesthetic dentistry treats more than the cosmetic aspects of your smile. Many of these procedures actually improve the function of your teeth, as well as your oral health. Veneers: Not only do veneers leave patients with a beautiful, uniform smile, this procedure protects chipped, cracked or sensitive teeth from further dental damage. Inlay/Onlay: Unlike crowns, inlays/onlays provide conservative dentistry when repairing damaged teeth. The restoration is bonded to the tooth, leaving patients a strong, long-lasting solution to tooth decay and damage that will maintain the tooth’s structural integrity. Resin-Composite Fillings: These tooth-colored fillings bond to the tooth for improved strength and durability. The biocompatible materials in resin-composite fillings are tooth-colored which make the fillings indistinguishable from the natural tooth. Teeth Whitening Custom Trays: Our teeth whitening systems allow patients to easily achieve beautiful smiles. By using custom trays, patients receive optimal results using our convenient at-home whitening system. Implant Restorations: When teeth are extracted/missing, one can replace the gap with an implant crown. Dental implants restore function as well as preserve bite and jaw alignment. Orthodontics: Through orthodontic treatment with Invisalign®, patients can realign teeth that are crooked, thereby correcting both teeth and jaw alignment. Teeth are made uniform, which reduces the risk of dental trauma and makes good oral hygiene easier to maintain. If you are considering improving your smile with an aesthetic dental procedure, contact Dr. Young at SF Star Dental today. We strive to provide patients with results that are not only beautiful, but functional and contribute to your overall dental health. Contact our San Francisco office and schedule an appointment today!